The innovation behind design and technology starts with collaboration, developing new materials, testing their capacities, discovering shortcomings or potentials and identifying big questions about form, function and performance. Yesterday we spoke with Silke Kimmerling, product specialist with Gore’s Fabric Division, from her office in Germany, pictured left, about the new, cutting-edge 3D Fit Sock Technology from each phase of product development to bringing the product to market. 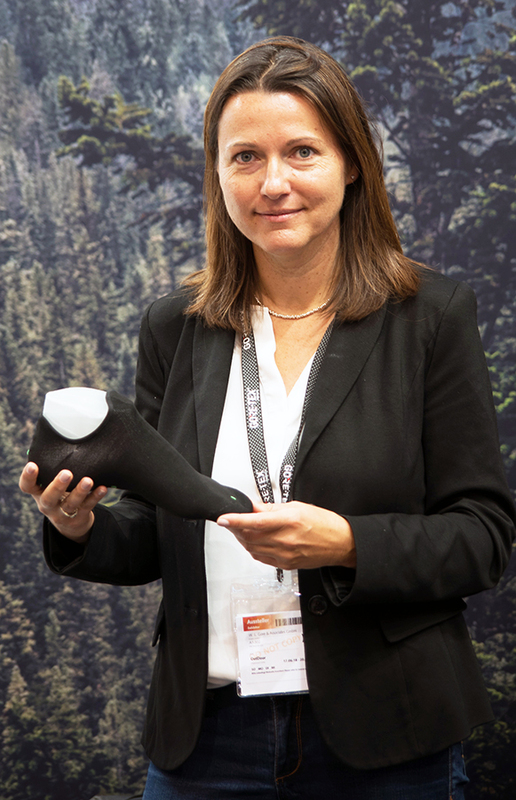 Gore launched the 3D Fit Sock at Friedrichshafen last week—waterproof, breathable material that molds to the shape of the foot. Can you speak to us about joining form and material in new ways as it relates to design, and also the solutions the material presents? Let’s go back to where the idea actually comes from. We at Gore continuously conduct research across the value chain. We talk to factories and, of course, we talk with our brand partners, but we also talk to consumers. 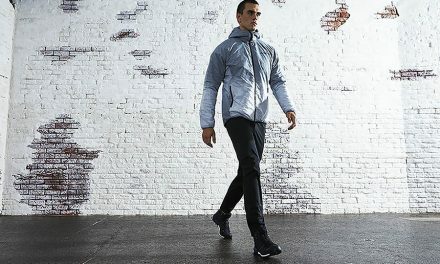 When we were talking with consumers a few years ago, they actually realized that they love to wear lightweight, elastic uppers for sports and everyday wear. But there was one wish associated to this footwear. Consumers want to wear it every day, no matter the weather. We took that problem statement, or wish, from our consumer, and that triggered our innovation work. We wanted a product that doesn’t change the design—meaning how the shoe looks, but also how the shoe actually feels. That should all stay the same because that’s what the consumer really likes. And that triggered us to create an elastic insert that conforms to the shape of the foot and that is perfectly fitting with elastic uppers. So, you don’t compromise style. You don’t compromise design. You don’t compromise fit. But you actually create a completely new type and new standard of fit while maintaining everything the consumer likes around the shoe. 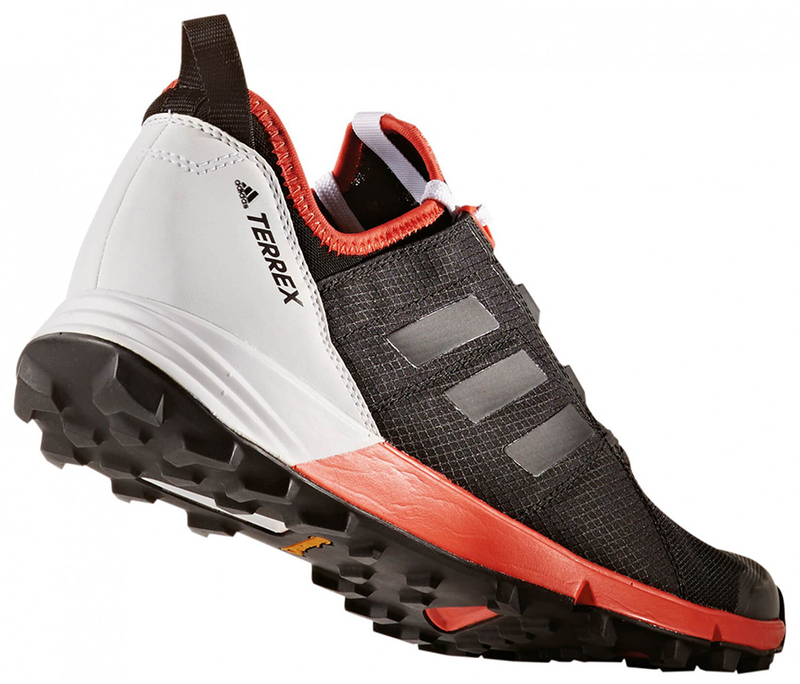 Adidas wanted to create the lightest trail shoe in the market that has a sock-like feel. If you look at the Terrex Agravic Speed, pictured left, it is extremely light weight and has an elastic upper. So, they needed a solution that provides waterproofness and climate comfort, but also supports their claims. 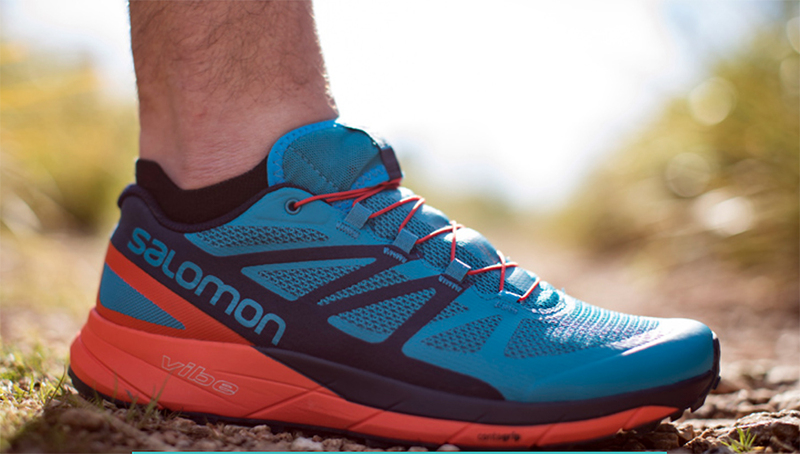 In the Salomon case, the style of footwear making is not traditional. They have a launched a customized concept where they utilize a sock and a building-block system to create a tailor-made shoe. 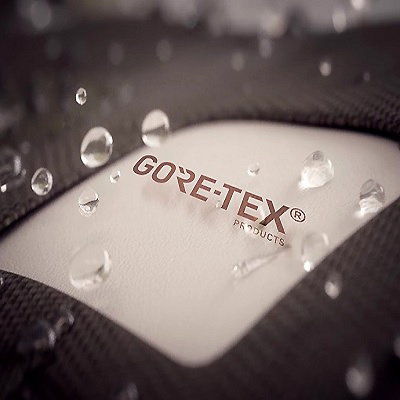 We were working with our technical teams to enable them to integrate our Gore-Tex 3D product into their processes to come up with a solution that allows customization but also doesn’t inhibit look or wear comfort. And these concepts are totally different, although we supply the same product. And they are different because we are working and listening to our customers and we have technical and marketing teams to work on a unique point of differentiation. 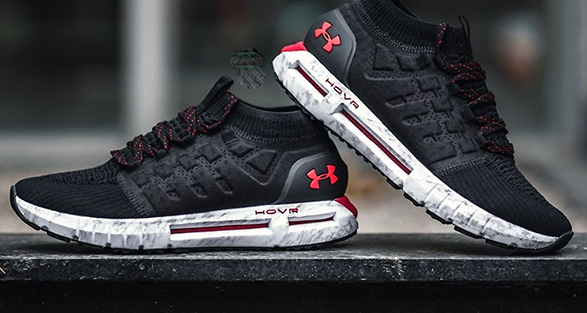 With Under Armour, they are our U.S. brand. So, it is crucial that we have a differentiation in terms of region. And they are the first brand working with a knitted upper. That was important for us as well. We are learning together what it means and how we make the product feel best, how we integrate it. UA HOVR Phantom pictured left. You have three separate companies with different needs for specific shoes, and those needs are based on the feedback from the elite athletes where the conversation starts. Gore is challenged even further to manufacture a fit for a varied list of objectives that each of the companies pose to help them through. That is correct. We don’t have a solution to all needs. We have a focus. They have a focus. We also need to work on additional generations as we go along. We have one product that we start with. We see that product not as a single event. 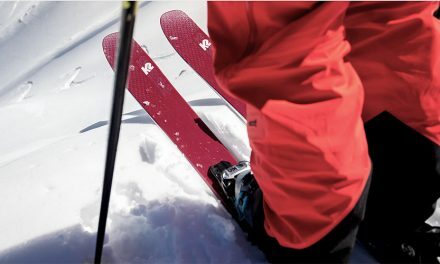 For us, Gore-Tex 3D fit is really a platform. And this platform is a 3D waterproof, breathable product that is elastic and has a great fit. And now we need to learn what new concepts are coming up from the customers and consumers. We might be able to answer with the current product form, or we need to build on the current product and develop it further. My assumption would be the second is probably where we need to head. Gore has years of collaborative material experimentation to draw from. Where did the Gore team takes its inspiration for the 3D Fit Sock? There was a certain need from a consumer, as described, and our research teams are conducting regular research with consumers. But, we also had certain needs our customers articulated to the technical or to the sales and marketing teams. We funneled these ideas. Customers, for example, wanted to increase the share of knitted uppers. It’s very attractive to them. So, they needed a product that can waterproof these shoes without impairing fit. When we reach a certain phase, we prioritize ideas. Since this was an idea that came very strongly from consumers, but also from customers, we started with investing and trying to understand whether we could from a technical feasibility stand point. How does the product work in the shoe? The product comes in a 3D form. Imagine something like a sock. This sock you integrate in the shoe manufacturing process in a very simple way, and from a design perspective, what is very interesting is, it doesn’t change. It doesn’t have specific design needs. You can easily integrate it into the type of footwear that we are describing. It’s also very simple to integrate because now you don’t have a laminate tape but a 3D form which is already waterproof. All the factory has to do is to integrate it into the target style. If you look inside it as a designer or a consumer, you don’t see any seams; you don’t feel any seams. It looks very plain, and many designers and customer have told us that it is a very pure look, that they like the way it feels and looks in a shoe. In the manufacturing process, is the product fused to the interior of the shoe so it becomes one with the existing material? Yes. We bond it in strategic places where we want the bond and that’s in the sole, in the toe and the heel area. This is where it’s connected to the sole and the upper, but it’s not connected everywhere because what we actually wanted was that our socks contours to the user’s foot, and that gives it a very nice cozy, hugging, contouring, sock-like feel. That’s what we hear from consumers. So we don’t bond it completely but only in strategic places so it stays where we need it to stay to perform. 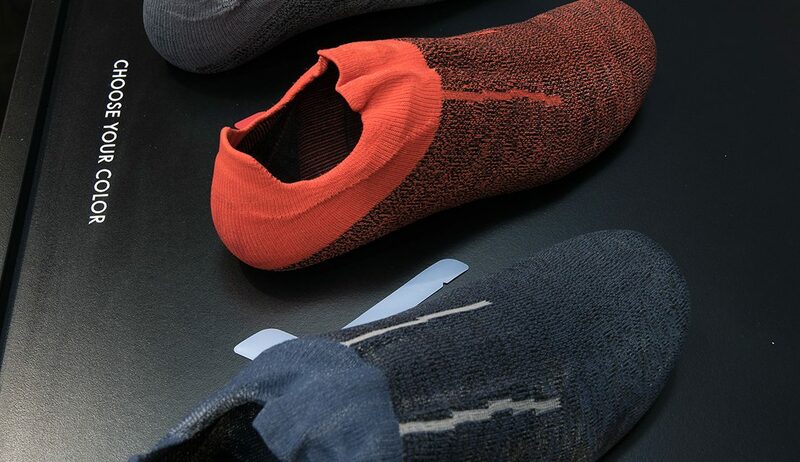 So, the integration of the 3D Sock is not connected into other areas of the shoe like the lacing system or tongue; it’s bonded where the strike of the foot needs extra comfort? Exactly. What are the fibers that go into the weave? You have a Gore-Tex membrane and you have a circular knitted sock on the outside and on the inside. And to a very specific knitting process, you create a waterproof sock. Imagine there is a Gore-Tex membrane between these two socks which makes the sock so waterproof, breathable and elastic. This product allows you to have seamless construction for seamless comfort. So, you don’t have to seam tape anymore. You don’t see any seams. It’s a very novel process. It’s a completely different way of manufacturing waterproof product for a different supply chain because now we utilize socks. We don’t utilize face and back of textiles as such anymore. The basic construction … If you imagine a sock, sock on the inside and outside with a membrane in the middle formed in a way that there are no visible seams, and the nice thing is is that it’s still elastic and that’s important; otherwise we can’t utilize the technology for a broader range of lasts. But it also wouldn’t contour as nicely to the user’s foot if it didn’t have that elasticity. That combined is a big innovation for us. So, the factories are given specs for each of the different shoes and 3D socks, which adds another component to the manufacturing process. Yes. We have a target style and the factories conduct sizing trials with them. Our socks cover a variety of sizes due to the elasticity and they match shoe last, shoe size with sock size, and through that process, we assure that the manufacturing process runs smoothly. It’s a collaboration working very closely with our customers, but also with the factories to ensure the right fit for the target product. Was there a lot of hands-on testing by ambassador athletes? Did the results surprise everyone who worked on the project? Yes. It was years in the making to get to the product we have today. For us it’s really totally new in the way that we produce waterproof, breathable products and it effects every area of how we operate. If you talk with our customers, the product is perceived as extremely novel. We had focus groups with consumers where we tested the concept and validated the concept. They loved it because it basically answered their need for a product without any limitations. We tested the product on many users, not just runners. So, we went through a learning curve. Our customers and Gore collaborated on these learnings; we shared these learnings, and then we implemented. The product was not perfect at the beginning, neither from the customer side or from our side. But we’ve learned. How do you actually get easily into the shoe? How do you actually describe it as a concept that we had to make clear to users what the benefit is? It was a total learning process. I think what made us really strong was to collaborate with our customers on generating these learnings and implementing them. The last two years were quite intense in terms of going out to the market, learning, implementing, going out again. … It was a lot, but a great process, really.